It’s no secret that I love and adore books written by women. Thus, in the spirit of Leslie Knope’s Galentine’s Day, I bring to you my newest recurring feature: Ladies Celebrating Ladies, in which I wax rhapsodic about books written by women that center around female characters. This time I’ve got a historical mystery with wine, a funny Muslim romance, and the best superhero story I’ve ever read. Let’s get to it! 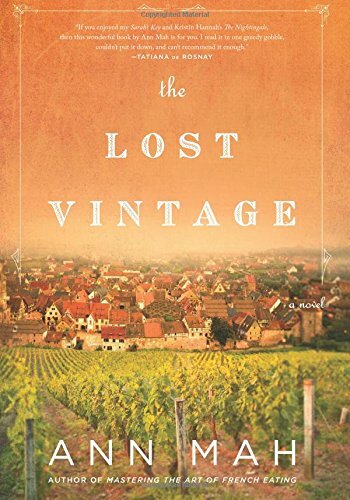 As someone who isn't particularly interested in fine wine or French culture, I was surprised how much I enjoyed The Lost Vintage. (There is currently sangria in a can in my fridge, to sum up my wine cred.) Even if you’ve never swooned over a pinot grigio or imagined yourself cruising with the top down in the French countryside, Ann Mah will make you want to grab the next flight, roll up your pant legs, and stomp around in some grapes a la I Love Lucy. There are two timelines in the book—one of my favorite gimmicks—one set in the present, and the other during the Nazi occupation of WWII. Kate is studying to become a Grand Poobah of Winesmithery (or something like that, shrug) and decides to pop on over to France to help out at the winery that has been in her family for generations. Like you do. While there, she discovers a secret trove of prized wines walled off in a hidden portion of the basement. To find out how it got there, she has to delve into some pretty uncomfortable history—whose side was her family on during the war, exactly?—and fortunately she has a fun college friend and a hunky old flame to help her on her mission. Also fortunately, there’s still time for crusty bread and soft cheeses in between all the research. This book is a super cute and funny romance with the chatty, diary-like style of Bridget Jones (complete with British slang! ), but it’s also a really compelling look into how a person finds meaning in religion. Sofia’s choice to adhere to certain religious practices like wearing a hijab and taking breaks throughout her workday to pray occasionally makes her life more complicated, and even her own family questions why she is so dedicated when it would be easier to blend in. As the drama of her life unfolds, though, her reasons become clear. 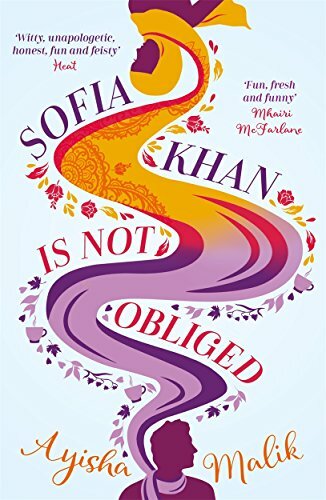 You’ll also be thoroughly entertained, as Sofia, a book publicist, is enlisted (somewhat against her will) to write a book of her own—on the topic of Muslim dating. Of course, this means she’ll actually have to date, which leads to various mishaps and misadventures that will keep you laughing even as you wonder how any of it is going to work out. New favorite feel-good series! I've never been particularly into superhero stories, but now I think all I was waiting for was one that featured women. Evie Tanaka is a behind-the-scenes girl, and she likes it that way. She’s the personal assistant to her childhood best friend Annie, who now embodies the persona of Aveda Jupiter, superhero and San Francisco celebrity. Aveda is flashy, flamboyant, and fabulous, and Evie is really good at playing second fiddle. Until suddenly she’s thrust into the superhero role herself—and then the former shrinking violet has to find her inner flaming hot diva. 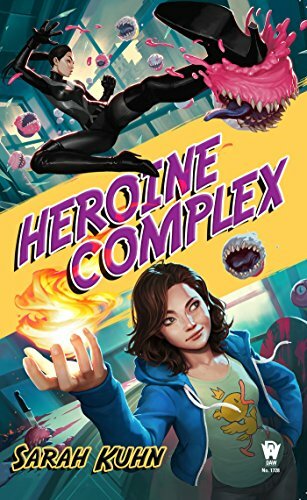 This book has just the right amount of magic and mayhem, not to mention awesome, realistic girl friendships and just enough romance to make you sweat. Of course, we superheroines don’t sweat, we glow.